Doctor Who: Revisiting THE SNOWMEN | Warped Factor - Words in the Key of Geek. Looking back with hindsight, the Christmas specials of the Smith/Moffat era were mixed in terms of quality. There was the great success of A Christmas Carol and the mixed reception to the Doctor, The Widow and The Wardrobe in 2011 and of course Smith's exit in Time Of The Doctor which strongly divided fandom. So the two obvious questions overall then are A) How does this Christmas special rank? And B) How does The Snowmen serve as the effective first story of Doctor Who’s fiftieth anniversary year? As a Christmas special, The Snowmen is certainly one of the best. For the first time since The Christmas Invasion, we get a Christmas special tasked with effectively relaunching the show. There’s the new credit sequence with a new theme arrangement, a brand new TARDIS interior and of course what was at least initially billed as the proper introduction to Jenna Louise-Coleman’s character of Clara. The Snowmen becomes something more than just another Christmas special: it becomes the bridge between not only the two parts of Series Seven but also parts of the Matt Smith era. Indeed, Matt Smith’s performance and new costume effectively introduce a new version of the Eleventh Doctor as well. The viewer, through Clara, is introduced to a Doctor apparently still recovering from what seems to have been a recent exit of the Pond's, something which was the straw that broke the camel's back and caused him to effectively retire. The Eleventh Doctor has often been said to be an old man in a young man's body and perhaps nowhere else to date does Smith's performance bare that out more. It's that performance, as well as the writing of Moffat, which makes the Doctor's journey from a man sulking in a box on a cloud to a hero once more believable. Indeed, if Smith ever needed to prove his acting chops, then his scenes with Richard E Grant’s villainous Dr Simeon make the case brilliantly. Speaking of Dr Simeon, the story features a strong supporting cast. Grant, and indeed the voice of Sir Ian McKellan, are effectively used with Grant oozing menace with every line. That said, the pair are also underused due to the focus on introducing Clara, though perhaps they are so effective because of they appear so sparingly. The Paternoster Gang of Madam Vastra, Jenny and Strax return and are put to good use, with Dan Starky’s comedy Sontaran (never thought I'd write those words) being the most effective scene stealer Doctor Who has featured in sometime. Even the supporting roles such as that of the family who Clara works for are well acted. Which leads to the one person who hasn't been mentioned but whom the story centers around: Clara played by Jenna Louise-Coleman. Throughout the new series the companions have been the focus of the show and The Snowmen is no exception. Clara is the heart and soul of the story as it is her randomly striking up a conversation with the Doctor in a London street that sets events in motion. Without Clara, would the Doctor have quite literally come down off his cloud? I'm not so sure. 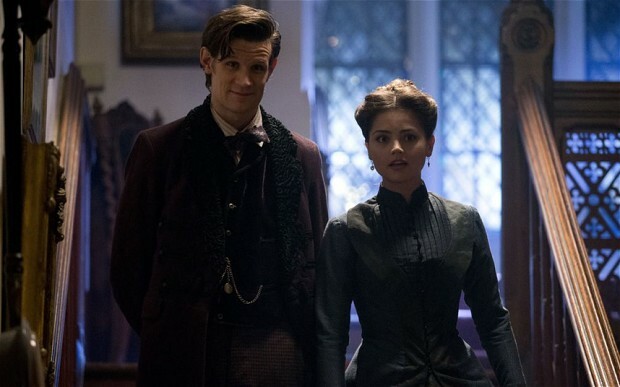 What I am sure about, is the strength of Jenna Louise-Coleman's performance as she holds her own not only as Clara the character but also as a performer alongside Smith. It is in their scenes together that the story really comes alive with the wonderful interplay and chemistry between them. Unfortunately, a last second decision by Moffat undermines all this a bit as he instead offers something else: a mystery that reawakens the Doctor and takes him, and us, on a new journey. The Snowmen also works as the launch into Doctor Who’s fifty anniversary year. The episode looks as much backwards as it does forwards. Who, or perhaps more accurately what Grant and McKellan turn out to be is a case in point. The story drops all sorts of hints about it from the title itself onwards but it's only really made clear in the final couple of minutes. It's done in a way that hopefully pleased fans who knew of what came before while thankfully not alienating those who aren't familiar with the old series (indeed, given developments since this aired, one can't help but wonder what Moffat knew and when). The fact that the Doctor has effectively retired and takes convincing to return to what he's always done is an idea that Douglas Adams proposed before he got forced to do Shada instead (something which in turn might explain Adams' attitude towards that unfinished story). Given what would come in the episodes to follow a few months down the road, it's clear that The Snowmen was meant to set the tone for that, and it does so effectively. Yet The Snowmen has an interesting problem. 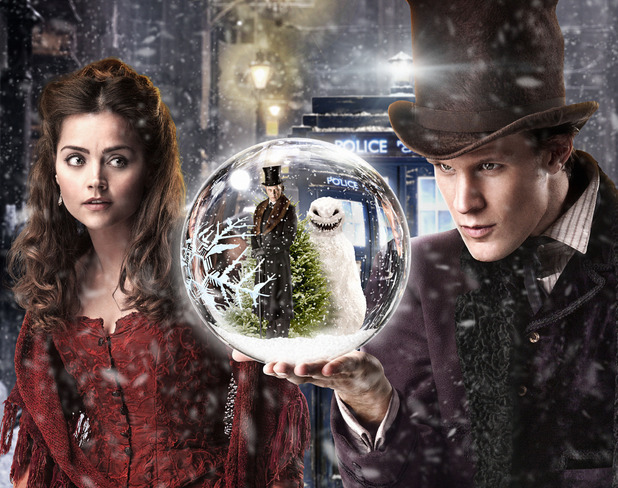 It focuses heavily on characters, especially the journeys of the Doctor and Clara, rather than on the threat posed by Simeon and his snowmen. The result is slightly lopsided as it were: the threat appears throughout the story and is certainly built up but that's not what were supposed to really focus on. For a story that makes rather a point of bringing back something from the show's past, it never really puts it to large use. That isn't to say that Doctor Who isn't or shouldn't be about character development, just that the balance here seems a bit off. In the final analysis then, The Snowmen succeeds. 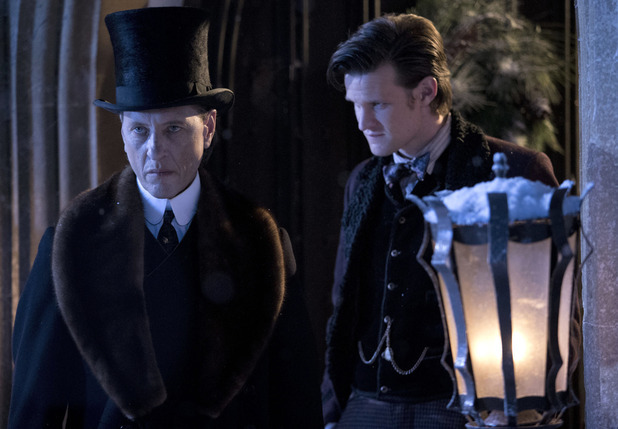 It does so firstly as an effective Christmas special, though 2010's A Christmas Carol still ranks as the best of the Christmas specials, this one comes a close second minus a couple of faults which can be forgiven nevertheless. It also works to help launch Doctor Who into a major anniversary year with both references to and use of the show's past without either being gratuitous or alienating to those not in the proverbial know. What more could we ask of it?